Welp, seems Goku’s newfound mastery of Ultra Instinct wasn’t all it was cracked up to be. With Goku on the field, decked out in the Grand Priest’s gear and apparently able to switch his most powerful form on at a whim, the battle was all but over, right? A chapter that begins with Goku receiving an almost Vegeta-like beat down. That’s certainly refreshing. What isn’t refreshing is the Namekians getting their home ravaged by a space monster who is after their Dragon Balls. Frankly, I don’t know why they still have the things around, they seem far more trouble than they’re worth. Y’know with the near extinction of their race on multiple occasions. The chapter begins by trundling down the incredibly telegraphed grooves in the road that have been indicating the direction of this story: Goku and Vegeta rushed to confront Moro half cocked, didn’t realise his powers and get beaten down soundly by him as a consequence. 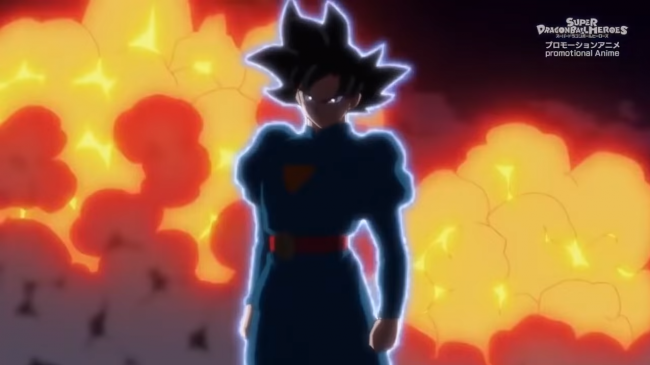 Super Dragon Ball Heroes – Episode 9 – A Power to Surpass Ultra Instinct? This episode rolled around a lot sooner than I had been expecting. Yet I found myself excited to actually shove everything else aside and spend eight minutes watching it. Looking back at my attitude regarding this series when it first started, I am amazed at how much I have flipped around on this mini series. While I was always aware this was a promotional anime, designed to sell a card game rather than a serious piece of storytelling (as serious as Dragon Ball can get there days) or add anything new to the ongoing lore. Super Dragon Ball Heroes - Episode 9 - A Power to Surpass Ultra Instinct? Overwatch Storm Rising just makes me want the single player experience, finally. Written worlds and writing about writers. viOLatinG anime with BrOken enGrish. Center of all things Otaku.